Your air conditioner chugs along reliably each day, never giving you any trouble or refusing to do its job — then one day, it stops. On that fateful day, you have to make a choice — should you repair or replace your old and faithful air conditioner? A breakdown doesn’t automatically mean you need a new unit, but sometimes it’s better to replace it now rather than face a future of mounting repair bills. How do you know? It has a SEER rating of 13 or better. If your air conditioner has a very high SEER rating, it’s probably still saving you lots of money on your monthly utility bills. Since the new standard in cooling is just 14 SEER, if you invested in a high efficiency unit years ago, it may still be worth repairing your old air conditioner. It’s less than 10 years old. An air conditioner that’s less than 10 years old and has been maintained properly likely has some fruitful life left in it. Provided it’s still reasonably efficient and gets the job done, an inexpensive repair shouldn’t be out of the question. It doesn’t have a track record. All air conditioners have problems from time to time, even brand new units — that’s no reason to send yours to the scrap heap. If this is the first repair your air conditioner has ever needed, it’s reasonable to assume that it won’t need another for a while unless your technician sees other warning signs. It cools the way it should, and inexpensively. As air conditioners wear out, they lose their ability to cool well or efficiently. You’ll see your costs rise as your unit struggles to keep your home comfortable. 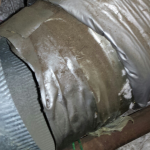 If your broken unit was doing a great job before the blow-out, chances are good that a simple repair is all you need. It doesn’t need a major repair. Once the tech comes out to visit, you’ll have a better idea of what’s wrong with your unit. 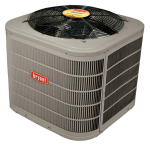 If it’s a major problem that will be at least half the cost of a new unit, it may be time to think about replacement, but small repairs can sometimes pay for themselves in an extended air conditioner lifespan. It’s over 10 years old. An air conditioner that’s 10 years old has reached a reasonably old age. Not only is a unit this old far from being efficient, sourcing parts and making repairs will become increasingly costly as you delay the inevitable. Replace your unit now before it costs you more than you’d spend on a significantly more efficient model. It still cools with R-22 refrigerant. R-22 refrigerant, also commonly known as Freon, is no longer allowed to be used in new air conditioners. Your air conditioning professional can still purchase it, but the price will continue increasing as this coolant is phased out over the coming years. Bite the bullet and switch to an air conditioner running on less expensive, more environmentally friendly R-401A coolant. It doesn’t cool like it used to. Old age gets to us all, and for your air conditioner, early signs include an inability to keep your home cool. As parts wear out, your unit just won’t work like it used to — you can have the unit overhauled, or you can replace it now before you waste your energy dollars trying to hold on to outdated climate control technology. It costs more to run than last year. 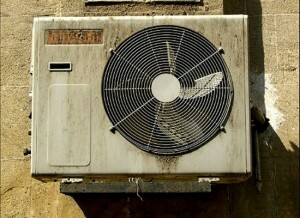 Another sign of aging in air conditioners is an unexplained hike in air conditioning expenses. If energy prices went up this summer, it makes sense that your air conditioning costs would spike, but if your unit costs more to run even with that increase figured in, it’s trying to tell you that it’s on its last leg. Replace your unit now before it fails impressively. It’s sized wrong for your home. Once in a while someone buys a home and discovers that the air conditioner is sized wrong for the home. Whether it’s too big or too little, the symptoms are obvious: not enough cooling or too much humidity are some of the most common. When an improperly sized unit starts giving trouble, use the opportunity to replace it with a unit that’s the right size. You’ll see an impressive increase in performance and a hefty savings on your electric bill. When your air conditioner starts giving you trouble, we can help you decide if it’s time to replace it or if a simple repair can solve your problems. Call Precision Air 24 hours a day, seven days a week to schedule an appointment with our certified technicians.